This gem popped up on tumblr the other day. 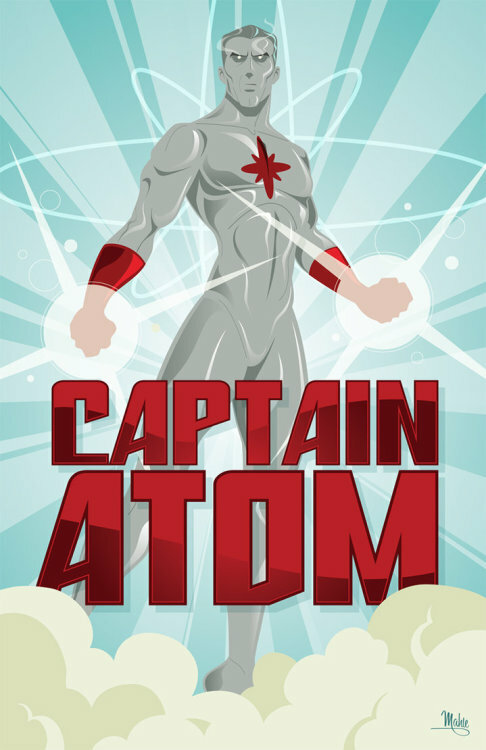 The Modern Age Captain Atom by Mike Mahle. His DeviantArt profile describes Mike Mahle as, “Diagnosed with a rare medical condition where his heart produces excessive amounts of awesome, Mike Mahle keeps his body from exploding by pouring his superior creative powers into his art. This professional designer/illustrator delights in giving daring new takes on superheroes, classic movies, and his own thought-provoking creations.” He is from the United States and his Justice League Series prints can be purchased from his website for $15.00 US. This piece, the New 52 Captain Atom, is by Raymund Lee. He is an artist from the Philippines (here’s his DeviantArt page). I really think it is possibly the most beautiful rendition of this particular version of Cap that I’ve ever seen. And he doesn’t stop there. 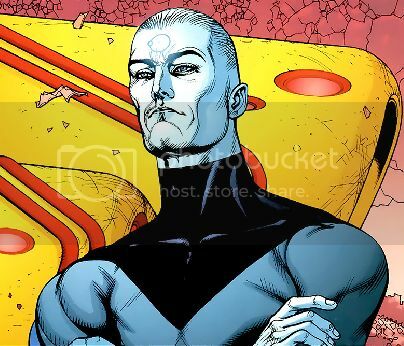 Below are Dr. Manhattan, and Captain Atom’s “pals” Blue Beetle and Firestorm. 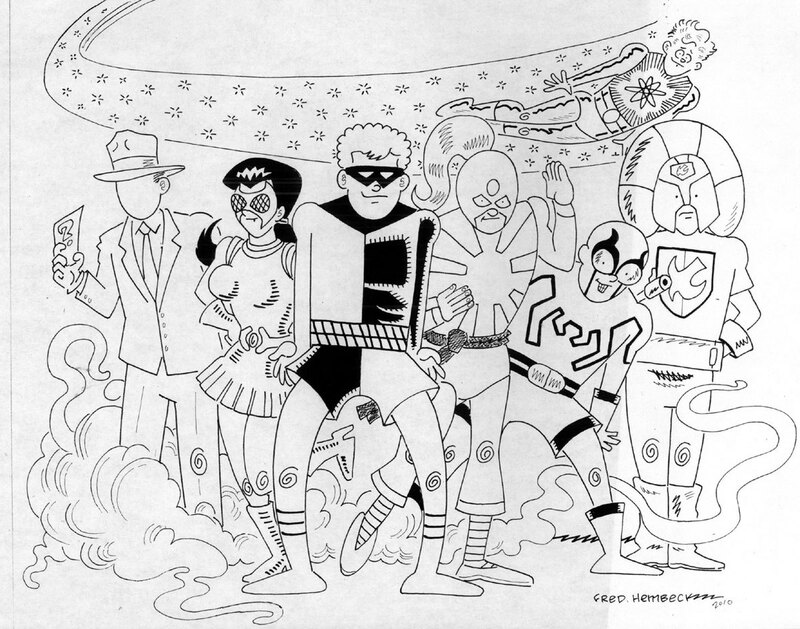 He has lots more superheroes on his site; this is just a small sampling. 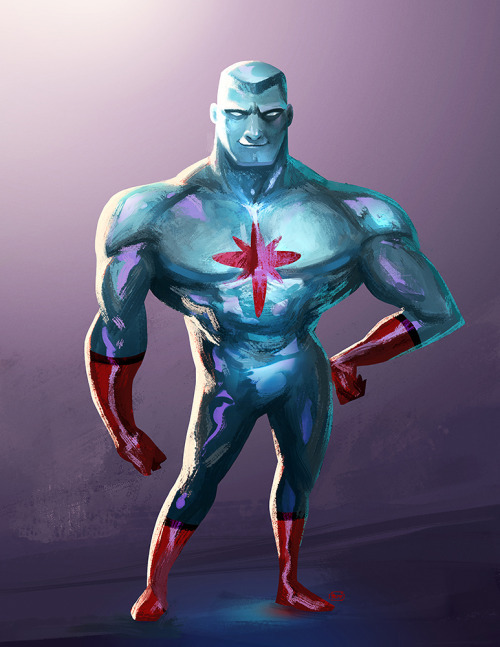 Another tumblr.com find, this is the DC Animated Universe Captain Atom. Mazon is a Concept Painter at Nickelodeon Animation Studios. He really seems to have captured the cockiness of this version of Cap. Check out his website for some of his other work. 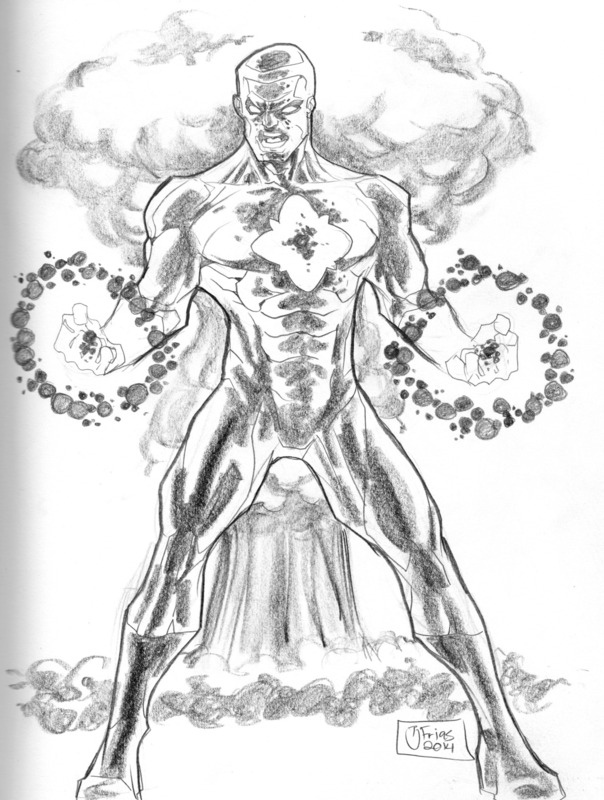 Here’s another Captain Atom sketch I found on tumblr. The artist is T.J. Frias, a California artist whose sketchblog features a lot of super-heroes. I’d really love to see this piece inked and colored! I found this guy on tumblr. He doesn’t say anything about himself aside from being a “freelance artist and lover of comics.” He’s got a really great drawing of the Bronze Age (Charlton) Captain Atom, as well as Nightshade and Silk Spectre. There’s lots of great Marvel and DC characters on his blog. Check it out! Tony Harris is an artist who has been working in comics since 1989. He came to prominence in 1994 with his wildly popular and successful series Starman, a new version of an old character he co-created with James Robinson for DC Comics. The series led to four Will Eisner Award nominations for Tony (one in 1995 and two in 1997, both for “best cover artist,” and one in 1997 with Wade Von Grawbadger for “best penciller/inker or penciller/inker team”). He was also nominated in 2006 for “best cover artist” for the Wildstorm series he co-created with Brian K. Vaughan, Ex Machina. The piece below I found on the website for his Jolly Roger Studios. I’m not sure what this piece was created for, but in 2010 Tony drew some covers for the series Justice League: Generation Lost, and it fits into the arc of that story. This weekend, Tony is at the Middle Georgia Comic Convention in Macon, GA. Although very close to my own home (I went to high school with Tony, a year behind him – but we don’t know each other), I will not be able to attend. But anyone in the area who can attend, go on down and see the local boy who done good. I was turned on to this artist by The Irredeemable Shag from FirestormFan.com. Steve Garcia, “the silhouette guy,” has made several silhouettes of DC and Marvel super heroes. Below is his Captain Atom, but he’s also got a few beautiful Firestorms, along with Green Lantern, Wolverine, Superman, Spider-Man, Batman, and a nice collection of Breaking Bad characters. Browsing his gallery, just about every fandom is represented. Check him out here. Really great stuff.